Decreased enrollment and retention of students has been a significant issue for most historically black colleges and universities (HBCUs). Once a student enters the school, the university must find ways to keep them interested. Several students report they leave because of lack of support from university professors and advisors. If the university advisor is the initial point of connection to the student’s education, it is imperative that communicative exchanges are concise, relatable, and entertaining. I have personally believed that most students are not taught to adequately communicate in varied social situations. They become comfortable in their own communicative group and are unable to approach people in different social groups. They are not willing to make themselves uncomfortable for fear of others’ negative responses. Pragmatic language is an aspect of communication that impacts a person’s ability to appropriately use language socially across varied situations). Pragmatic language refers to varied linguistic skills including the initiation and termination of conversations; topic introduction, maintenance, and change; code switching; appropriate turn-taking skills; courteousness; and comprehension and demonstration of nonverbal aspects of language such as appropriate tone of voice, body language, and facial expressions). Research on pragmatic language skills of African-American children has determined that those identified and displayed delayed aspects of pragmatic language are viewed as being problematic and decrease fitting interpersonal communication skills. There is little to no research available on the pragmatic language skills of the African-American college students attending HBCUs. The African-American college student displays particular delayed aspects of pragmatic language including the lack of topic maintenance, inadequate turn-taking during conversations, abrupt disruptions, and inappropriate tone of voice, which is viewed as inappropriate classroom decorum and impedes the learning experience for themselves as well as their peers. Without pragmatic language competence, there is difficulty integrating into peer groups, which affects their degree of self-confidence and happiness, in their environment. Inadequate pragmatic language skills are linked to poor student engagement and success. It is difficult to manage success if students are inactively engaged academically and interpersonally. If an individual is unable to have a conversation, he or she will be incapable of establishing a relationship with peers in the community and experience difficulty initiating and maintaining those relationships, which in effect decreases student retention rates. Ineffective communication builds ineffective communicative partnerships in all social settings. If an individual does not exhibit a vast vocabulary, he or she may not converse with people of varied cultural backgrounds; demonstrate difficulty comprehending words; exhibit decreased word retrieval skills; and display problems in writing sentences that are grammatically and semantically correct with varied lengths. Students with language impairments require supports that help them increase their conversational skills, which may include developing one’s opinion on topics, determining when to respond, and establishing a set number of comments during a dialogue. Lacking those skills decreases interpersonal success, which decreases retention rates of African-American college students. The student with decreased pragmatic language skills will experience decreased success at the university level because they will avoid social circumstances that necessitate practical communication. Those social circumstances include meetings with academic advisors and professors, group projects with peers, oral presentations, and major admittance interviews. If the student is unable to demonstrate appropriate, effective, and precise communication that conveys pertinent information to their communicative partner, their interpersonal life at the university level is limited to social isolation. A student that has not been exposed to a variety of literacy in a vocabulary rich environment will experience difficulty writing and speaking during oral presentations using a complex words, synonyms, and antonyms. There are several factors that influence retention rates including life events experienced prior to college and academic abilities demonstrated in high school. However, a student’s pragmatic language skills affect their ability to function academically (e.g., faculty meetings, group projects, advising, campus resources), socially (e.g., service learning, informal contact with faculty), organizationally (e.g., orientation programs, financial aid, registration, service and social organizations), and environmentally (e.g., parental support, transfers, off campus jobs). Establishing a link between pragmatic language and student success is vital to student engagement, retention, and success, as it will increase African-American college students’ ability to effectively convey messages with meaning without displaying avoidance tactics when communicating in new social groups. 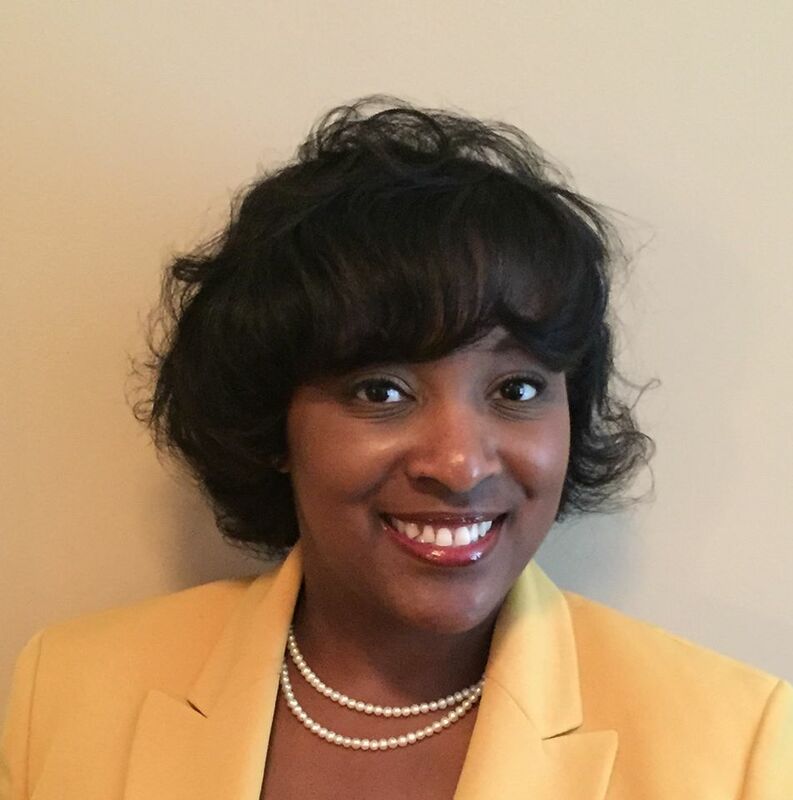 Vanessa Raynor has been a professor at Shaw University for 5 years and holds the position of Program Coordinator for the Communication Sciences and Disorders Program in the Department of Allied Health Professions. Respectability Politics is not/ was not a concern. 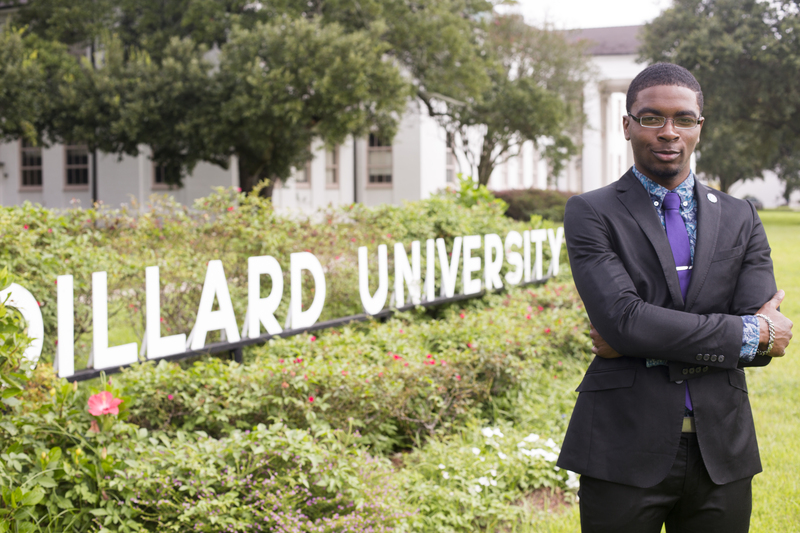 Dillard University’s Suits and Ties initiative was a student led initiative started by Mr. Dillard University 2012-2013, and has been continued ever since its initiation. This immediately debunks the rumored existence of ‘respectability politics’’ circulation around Dillard University’s Suits and Ties initiative and marginalizes the concept that black colleges and universities are mainstream conformists. From a historical and slavery-ridden perspective, it is not the mission of the student or institution to recreate or restore white values with one’s own black values at black colleges, but it is more so the role of the institution to learn and create spaces of humanity as opposed to repurposing dated color lines that are not as clear, but still exist. Quite frankly, this poorly fashioned metric used to support the purpose of why, “Black Lives Matter,” at black colleges and universities does not even work for “un-marginalized” groups. There is no guarantee that color, or lack thereof, will “save” someone from the negative stereotypes and perpetuate them into the person they feel entitled to be. In every walk of life, every nation, and every society, there is a standard of guidelines and expectations. Being that the purpose of a collegiate education is to support the manifestation of dreams that a high school diploma does not, every college and university has their campus catalysts that promote the growth of students so that they are able to meet the needs of the society to which they live. This is not a black issue or an issue that black colleges and universities face. Dakarai R. Moton is a senior at Dillard University majoring in biology. He is president of the Minority Association of Pre-medical Students and the president of the Health Occupations Students of America: Future Health Professionals. He is also Mr. Dillard University 2015-2016. Recently, much ink has been spilled over two “situations” in higher education: large multi-million dollar donations to institutions that already have enormous endowments and huge fees paid to the hedge fund managers who generate revenue for large university endowments. Both events have led to commentary, much of it critical of the reality that the rich just seem to get richer and the institutions that serve many low-income students remain without needed resources. All of these conversations, of course, pertain to a long-lasting problem in higher education: how to redistribute financial resources to the students and institutions that need it most. In the absence of Robin Hood, we need to reflect on what legal or policy changes would generate new dollars, shift the allocation of resources and alter private giving patterns such that institutions that serve our most vulnerable students receive the financial support they need. Of course, in exchange, we want these institutions to have positive outcomes, to increase retention and graduation rates and to offer quality education at a fair cost. We are painfully aware that the graduation rates of Pell eligible students do not match those of non-Pell eligible students, a result confirmed by newly released data. One timely suggestion comes from a recent NexusResearch report that says it is time for large endowments to be taxed and for the newly generated revenue to be deployed to fund successful student support programs across the nation. In essence, this would institutionalize a form of wealth redistribution, and one assumes many small colleges and Minority Serving Institutions (MSIs) would be the beneficiaries of these revenues. There is one other critical trend change. With considerable support from the White House and First Lady Michelle Obama, there has been a large effort to research and address what is known as under matching, where well-qualified, low-income students settle for less competitive colleges. Although there is research supporting the reality that qualified low-income students are enrolling at institutions that are ranked “below” their intellectual capacity, there is now a recognition that this particular issue does not merit all our time and attention, despite its emphasis on the new College Scorecard. Even if undermatching were totally remediated, the vast number of low-income students will not enroll at the top 100 colleges and universities in our nation. It is best to spend our energies on strategies that can affect literally millions of students. Here’s the new reality that is finally becoming clear to more and more policy makers, legislators and even some presidential candidates: large numbers of Pell eligible students are being served by “non-elite” colleges and universities. There are also new data showing that, contrary to popular belief, non-elite small and mid-sized colleges are generally doing a good job with their low-income student populations. But it is also critically clear that these institutions do not have large endowments and struggle to make ends meet. They are fiscally challenged; the recent stories on Cheyney University make this very point. They often have low alumni giving rates. These are the very institutions, many of which are MSIs, which deserve more revenue. These are the institutions serving the students of today and tomorrow. Certainly, there is no one solution here. But, here is a suggestion that has not, as of yet, garnered much steam but that could change donor behavior. It has been inspired in part by the work of Sunstein and Thaler related to “nudges,” particularly in the area of financial decision-making. In short, I think there is a role for paternalism (or maternalism) in how we reward charitable giving. Start with this reality: for those who itemize deductions, we have a one-size fits all approach to charitable giving. Under our tax code, donors get a tax deduction for permitted donations without regard to whether the non-profit to which they are giving actually needs (rather than just wants) the money. To be sure, the value of a donation to a particular donor varies depending on their tax bracket (the richer you are, the more valuable the deduction). But, the point is that whether you give to a tiny non-profit food bank in your local community or to a well-heeled church or to a university with a billion dollar endowment, the tax rules remain the same. The benefits colleges and universities receive has been and continues to be a subject of interest to state and federal legislators, with a hearing in the House anticipated during the week of Oct. 7th, 2015. Try this counter-solution: abandon the current rules on charitable deductions. Instead, amend the tax laws to create a sliding scale with respect to deductibility of donations so that those who donate to small institutions that serve, say, at least 40% (pick your number) Pell eligible students get a larger tax deduction (again, pick your number) than those who donate to institutions with endowments over X dollars. The goal is to incentivize Charlotte Dobbs’ above-referenced suggestion and “nudge” folks into giving to institutions that previously would not have expected their largess. Determining the gradations that should be incorporated into the sliding deductibility scale can be the matter of considerable debate. If you get a 50% deduction (the current ceiling) for giving to an institution with a small endowment (say under $10 million) and 45% enrolled Pell-grant recipients, then perhaps you only get a 25% deduction if you give to an institution with an endowment over $1 billion. Discussion needs to ensue over how to structure the proposed scale with an emphasis on the determining the economic consequences of the proposal. This approach has some similarities to, but even larger differences from, the sliding excise tax on large endowments recommended by the NexusResearch study previously mentioned. Yes, both approaches are trying to move money into the hands of institutions that need it and that serve vulnerable students. Both approaches recognize the need to redistribute wealth. Both want to encourage giving, something currently done through our approach to taxation. But, these two approaches have vastly different incentive structures embedded within them. The NexusResearch proposal literally takes money away from large endowments and gives it to the government to redistribute; donors are not affected as they will still receive the full deduction. And, to encourage support of students at the institution to which the donor is giving, this proposal does allow institutions an offset to the excise tax owed with monies spent on student financial aid (at their own institution). In other words, changing the structure of how the Tax Code treats deductions should not be aimed at institutions but rather aimed at donors. We should seek to change donor behavior in large or small ways. We should incentivize donors by expanding where they give and how much they give. We should preserve individual donor choice and allow private individuals to decide where their largess goes. There would be no government collection of monies; nor would there be a reallocation based on some to-be-determined destinations for the excise tax revenue. One can only picture the fight that would occur over who is entitled to the excise tax receipts. It seems to me that MSIs are positioned to make quality public arguments in favor of changes in the law that allow them to be the recipient of more monies to educate students. Revising our approach to charitable giving is one way to accomplish this end. But, we all know that while giving is good, givers do value the accompanying economic benefits. And, the psychic benefits of giving, which one assumes must exist and are robust, are enhanced if MSIs can share their stories and their successes. One could make a somewhat different suggestion along the same lines as those presented here: super-deductions for gifts given to those institutions that meet certain qualifications (such as endowments below $X or status as a MSI or some other criteria). This idea would reward giving even more and not deter giving to institutions that appeal to donors, regardless of those institutions’ need for added revenue. How likely is any legislative change to the tax laws? Not very likely, but it is as likely as many changes that are currently being proposed. All you need are a couple of senators and one presidential candidate or two and the ball gets rolling. Or, one brave foundation that makes the case and pushes for change. It’s worth the effort. Even in the absence of change, donors will see this debate and perhaps that, in and of itself, will encourage behavioral change. There is no downside to trying and plenty of upside. 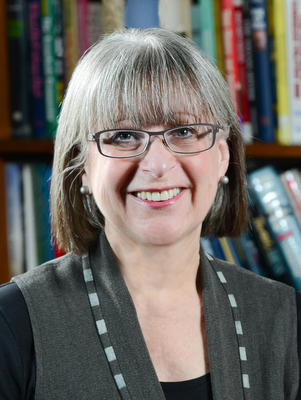 Karen Gross serves as Senior Counsel at Widmeyer Communications and is the Former President of Southern Vermont College, a former Senior Policy Advisor for the U.S. Department of Education. Karen also serves as an affiliate of the Penn Center for Minority Serving Institutions.